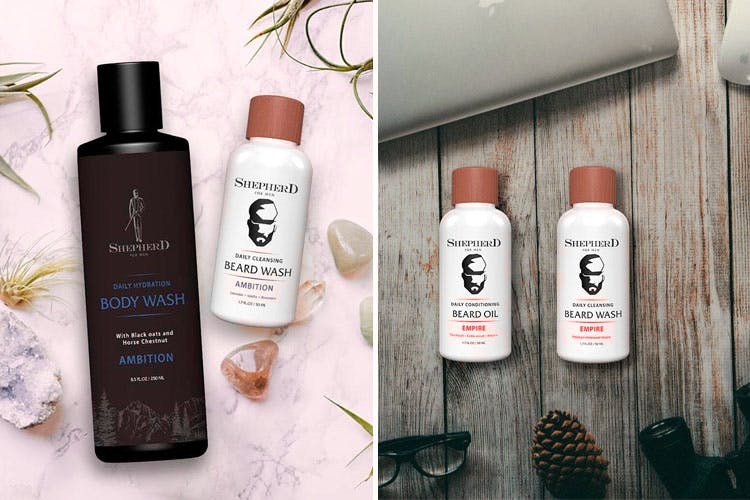 Shepherd for Men is a grooming and skincare brand offering products like beard oils, pre shave oils, body wash, shampoos and more for guys. Growing a beard might just be a waiting game, but grooming and maintaining one is a different ballgame altogether. Shepherd For Men has products that'll help you use beard-game-strong hashtags in all their glory. They've got three different ranges for beard oils - Ambition, which has calming notes of Lavender, Vanilla, and Eucalyptus oils; Hustle, which is a signature blend of citrus notes like lime and lemon; and Empire, with woody and earthy notes. They've also got a range of beard washes to do away with all the dandruff and the flakiness. You'll also find pre-shave oils, aftershave, body washes, shampoos, face wash, and conditioners for the complete grooming package. Hashtag fresh much? If you can't decide what to gift your bro, contact these guys for gifting boxes with assorted grooming products.